Local historians attest that the town's name derives from the Latin word "lauretum" (small wood of laurel trees), while for others, from Greek and means place with a superb panorama. 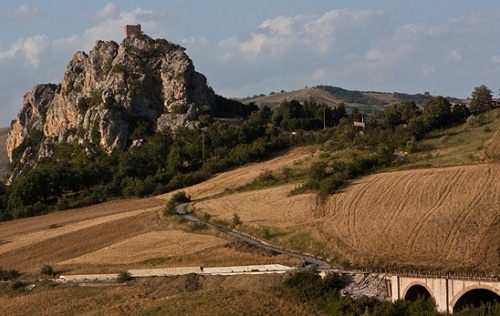 It is located on a limestone cliff about 795 m. above sea level, overlooking the valley of Biferno, probably founded by the Normans: the first documented the existence of the village dates back to the XIII century, during the period when it was under the Angevin. Oratino is primarily art. An art that over the centuries has been beautifully expressed in the works of many sculptors, painters, gilders, sculptors , who left signs of their passage in Molise and neighboring regions. And this is why Oratino still bears witness to a past of art that has been carefully preserved over time. Throughout its history it suffered the succession of several landowners. In the first half of the XVII century, the fief was sold to Duke Vitaliano, then to Giuseppe Giordano. 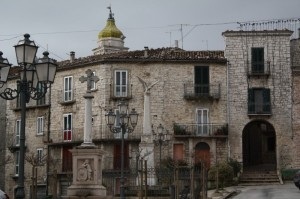 During his rule the city buildings were embellished by the skillful work of several local artists that make this town, unique of its kind in the entire Molise region. 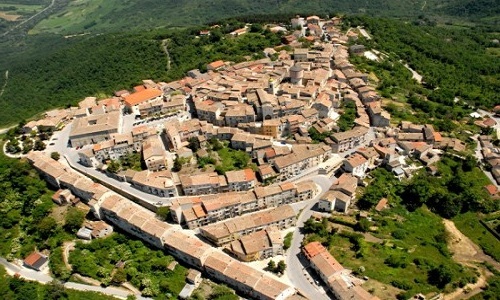 The old town center, located in the valley was abandoned due to a disastrous earthquake occurred in the XV century, and since then the population concentrated the development of a new centre, where it is situated today. You feel you are in a place that invokes a particular mood as soon as you are within the cheerful town. In 1781, a historian writes that "here many arts are tasteful cultivated ." 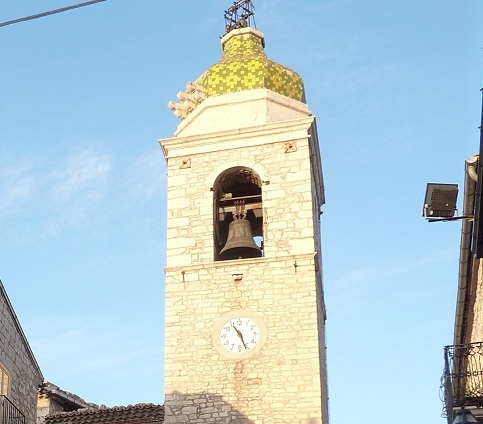 In fact, few other towns in the Molise region can boast such a concentration of artists and craftsmen. Places to visit: The Palazzo Ducale, built as a fortified castle in the fourteenth century, transformed into a noble residence in the eighteenth, and unfortunately today privately owned. The church of Santa Maria Assunta, in the historical center, kept in the vault of the nave is the Assumption of the Virgin, a fresco by Ciriaco Brunetti completed in 1791. 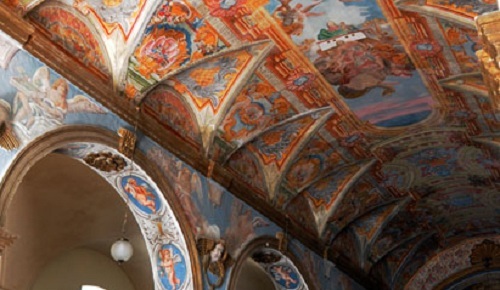 Church of Santa Maria di Loreto, a typical country church with the facade of 1718, the vault of the nave and the two sides have been painted by the brothers Ciriaco and Stanislaus Brunetti. Here are two interesting statues, Our Lady of the Rosary of the seventeenth-century sculptor Carmine Latessa, and that of Saint Anthony of Nicola Giovannitti, dated 1727. The Tower is located on a rocky spur called in fact The Rock , and this all that remains from a castle and the adjacent medieval village destrojed during the earthquake of 1456.